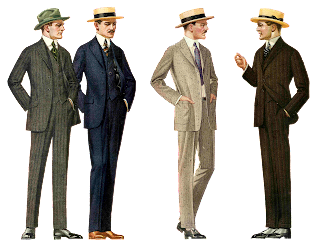 This is a digital collage sheet of 1915, vintage men's fashion. These fashion illustrations come from a 1915 clothes catalog. 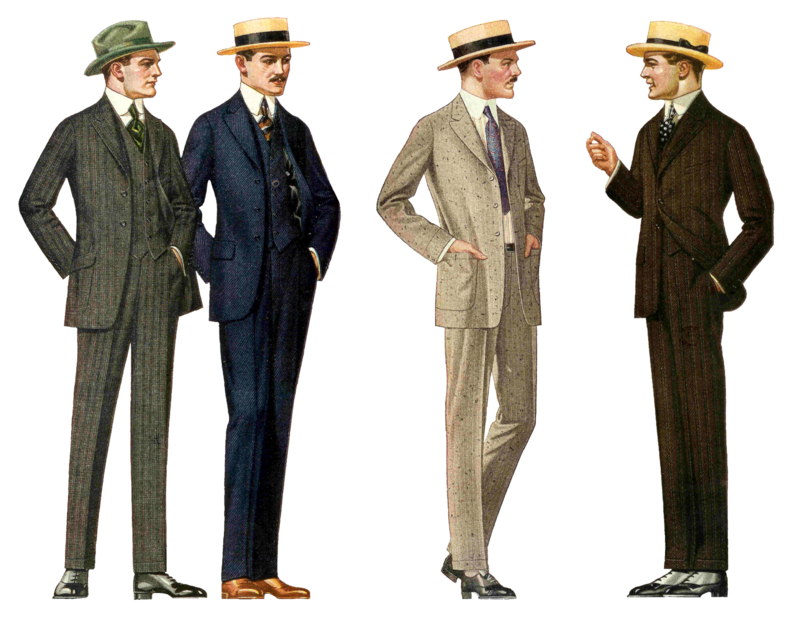 These styles are very dapper, especially with the hats. I hope you enjoy! Hi there! Would i be able to use one of these images for a t-shirt design for my clothing brand? Sure thing! 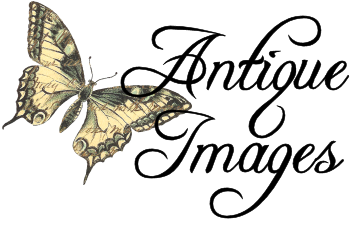 You can use any of the images on my free clip art blogs for both personal and commercial projects. Thanks for your question and interest, Darragh. Have fun with them!